What is a Career Community? The Spring Career Expo is a two day event. It is open to all NDSU students, NDSU alumni, and students from local four-year universities. The Fair is not open to the general public. The Spring Career Expo provides an excellent opportunity to connect with students to discuss or interview for current and/or future career-related employment and co-op/internship opportunities. Last year, over 250 employers and 1,300 students and alumni attended this event. Employer Map: Download the CareerFairPlus App on the App Store and Google Play Store! 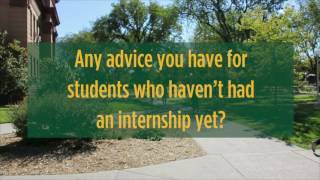 What is the Spring Career Expos & Which Students Attend? When and how do I receive information about the Spring Career Expos? What is the registration fee and what does it include? How can I pay the registration fee? What is the cancellation and refund policy? What are the advertising options? 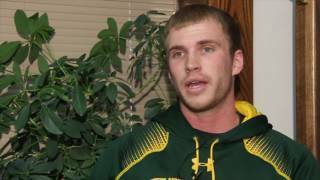 What colleges and majors does NDSU offer? Where do I ship displays and materials for the Spring Careers Expo? What are the lodging options in Fargo? Where are the Spring Career Expos held? Where can I unload my vehicle for the Expo? Who should I contact to set up interviews after the Spring Career Expos? Who can I contact for help? Sorry, there are no new events at the moment. Make sure to check back for updates. The NDSU Career Fair+ App brings the Career Expo - 2 Days / 2 Fairs to your Android or Apple device. This includes company locations, company information, announcements, and several other Expo necessities! The app is now available on the Google Play Store and Apple App Store. Awesome Career Expo yesterday! Thank you to all the great companies, students, alumni, faculty, and staff who participated. Click here to see TV media covering the event. Mark your calendar and come to the CAREER EXPO 2018! Many organizations will be in attendance, recruiting students for excellent full-time and internship positions. Sure, you’re an Excel wiz, a killer social media marketer, or have years of experience in the sales industry. Are you Ready for the Career Fair? 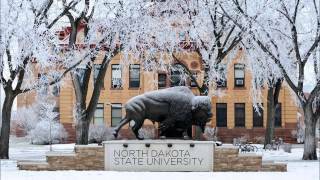 Content Copyright © 2019 North Dakota State UniversityPlatform and Design Copyright © 2019 uConnect, Inc.